Sword Master Cecily Fay has been training in Silat since 1995, and quickly became the double European Champion. She became the Senior Instructor of Seni Silat Haqq Melayu and began teaching in 1999. She then went on to study the Indonesian style Wali Songo Silat and became and instructor that style in 2005. Having previously trained at London Contemporary Dance School in primarily Martha Graham technique, Cecily found it fascinating to find this ancient and traditional form of martial arts that is based on the same principles of contraction, release and the spiral that domiate Grayham technique and the similarity in the belief that the movement stems from an interconnected mind, body and spirit, is remarkably similar to Laban technique that Cecily also studied. 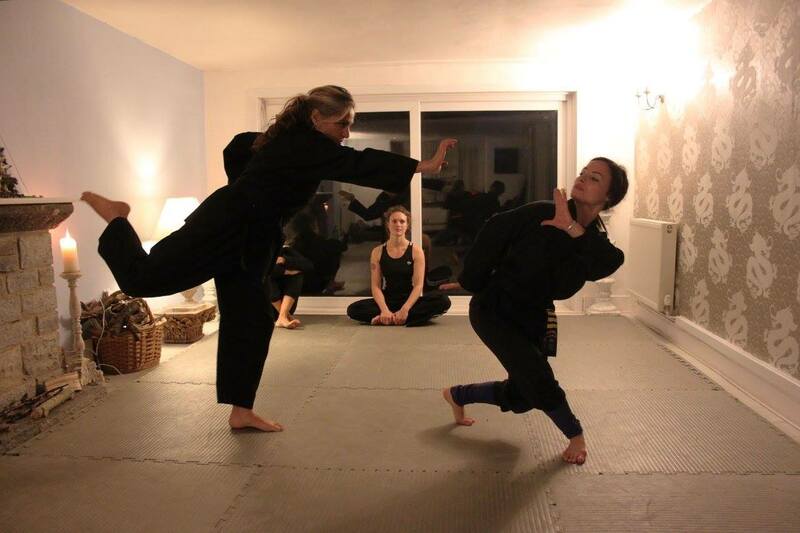 With 17 years of teaching experience, Guru Cecily has formed Silat Scathach, drawing upon principles and techniques from both styles. 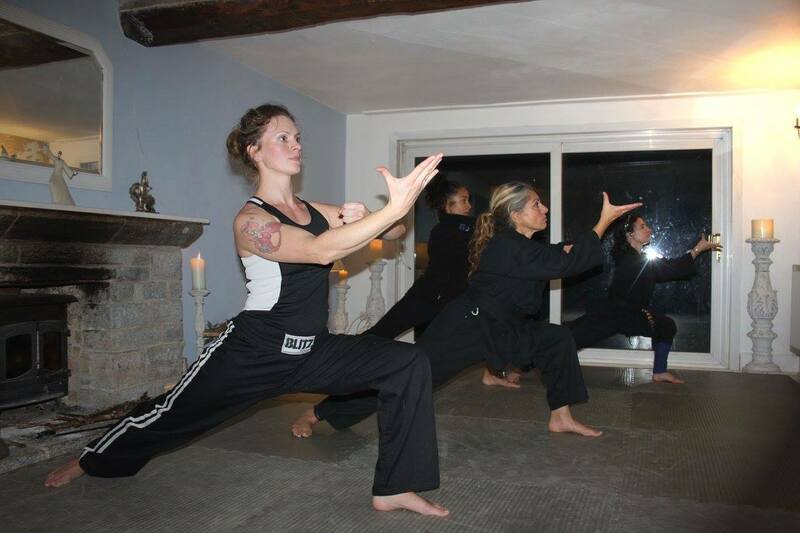 This martial arts journey has now taken an even deeper path and she has opened a full time Silat School, converting an old house in Somerset into Warrior School. It has two training spaces and rooms for students to stay, so they can fully immerse themselves in their training. Intensive training weekends will commence in July 2016. Scathach is the female warrior and martial teacher of Celtic myth. She teaches the Irish Hero CuChulainn his martial art skills. She is the the original western archetype of the female martial arts teacher, and so is a fitting figure of inspiration for Cecily, who is of Celtic descent herself. Some clips of a few of the many takedowns some being shown out of the flow Kembangan and some from static. Cecily Fay specializes in this extremely rare and beautiful form and combat system, and is one of only two qualified teachers in the world. It is a battlefield combat system and extremely effective against multiple opponants. 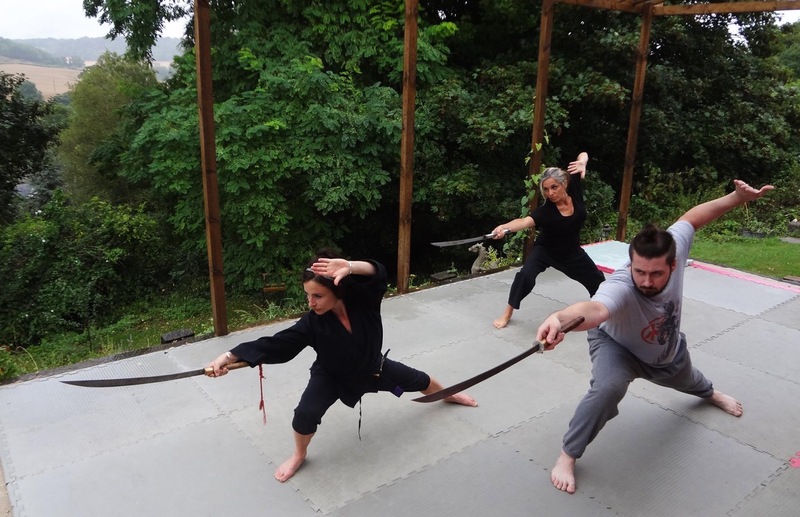 The beautiful form can be practiced without the combative element and mastery of the mindful movement required to train with a live blade creates real freedom and connection of the body and mind. Cecily says "I feel very privileged to have learnt this form, I feel that mastery of it is the pinnacle of physical and mental eloquence and expression. Sword training at Dragons Holt. The flower dance is derived originally from movement meditation and forms of prayer. When Silat was banned in Indonesia the fighting system was softened and hidden within the dance. It is the feminine aspect of Silat. It is the flow, and the connection of mind body and spirit. Self defence and combative movements are practiced within the fluid free form. The practitioner is free to change, rearrange, adopt and adapt different techniques and rhythms to suit their own body. In this video Guru Cecily is practicing a solo kembangan, focusing on the flow and the spial motion. Its completely improvised, and would look different of a different day when flowing with a different intention. This is just one of many elements of the Flower dance. In the video the Kembangan is being played very fast with a more combative intention, when played with a partner the exponants respond to each other. This non-combative system of body conditioning, strengthening and stretching excercises are practiced within a freeflowing form. This gives you the structure required for all other Silat disciplines and will improve your health and well being.